Cranberries are all the rage this time of year. Cranberries are to December as Pumpkin is to September: they’re a big, freaking deal. I, personally, buy cranberries by the five-pound bag once a year. My Vanilla-Cranberry Muffins have a Spiced Sugar Topping. Unlike most cranberry recipes, they use fresh cranberries instead of dried. 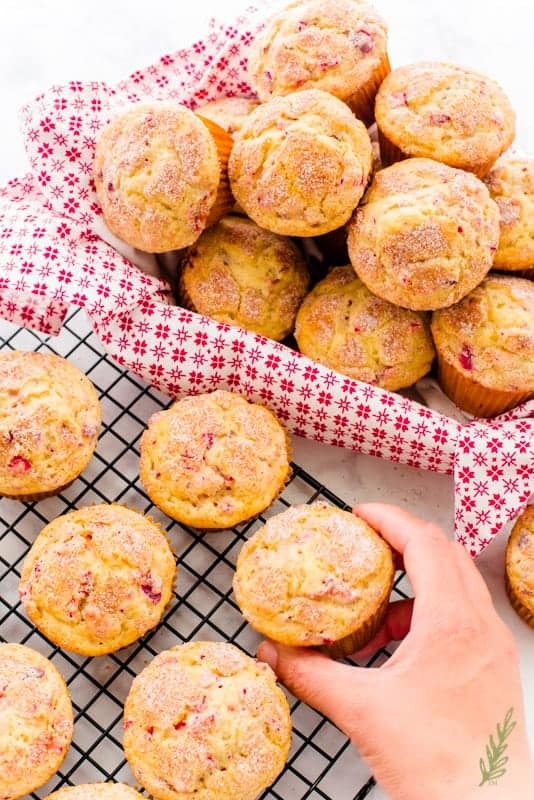 Vanilla-Cranberry muffins are probably the easiest breakfast you’ll ever make. Well, why not? I mean, you could use dried, sweetened cranberries, but if you have fresh, why not use those? Muffins don’t have to be hyper-sweet, and these have the perfect amount of sweet and tart. Because I always have frozen cranberries, I opt to use them. Unsalted butter, eggs, milk, sour cream, and vanilla, of course, are the other ingredients you’ll need. Cranberries can be frozen for up to one year, so buying them when they go on sale (usually mid-December), is a smart move. Rinse them under cold water, dry them thoroughly, and lay them on a sheet pan in a single layer and freeze until solid. Once they’re fully frozen, pack them into a freezer storage bag. This method of individually freezing the cranberries allows you to measure them out as you would when they’re fresh. In other words, no clumps of cranberries to break apart. Use a food processor, or a knife, to chop up the rinsed and dried cranberries. Leave them in the food processor bowl, or on the cutting board, and set them aside. I get my components together first because it allows me to move quickly and efficiently. Turn your oven to three hundred fifty degrees fahrenheit. 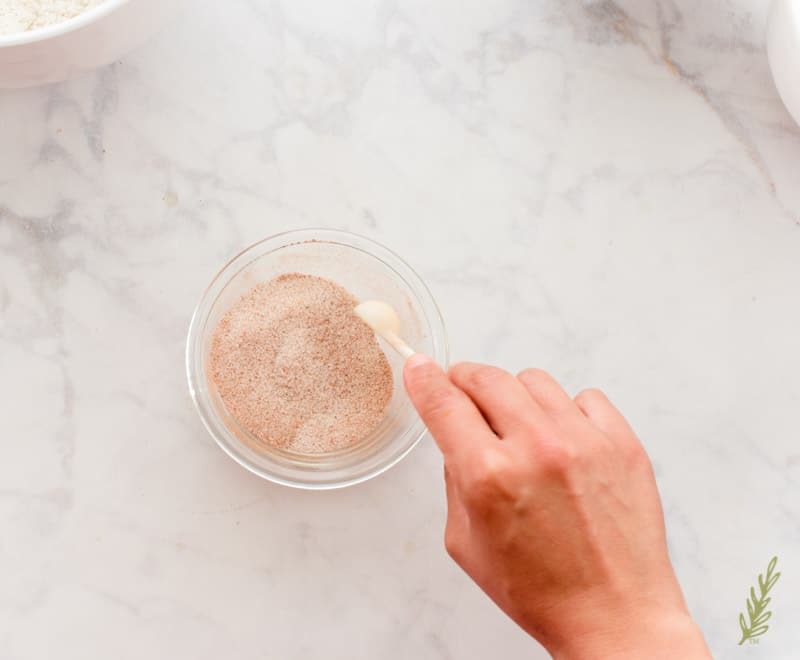 Then, in a small bowl combine one tablespoon of granulated sugar, a three-quarters of teaspoon of ground cloves, and a quarter teaspoon of ground cinnamon. Mix these together with a small whisk or spoon, or just use your fingers. Set this to the side for sprinkling on to the vanilla-cranberry muffins later. One of the things that I see on a lot of recipe videos is the dumping of all the ingredients into one bowl. It makes me cringe because all I see is a person biting into a mound of baking powder here, or a chunk of salt there. 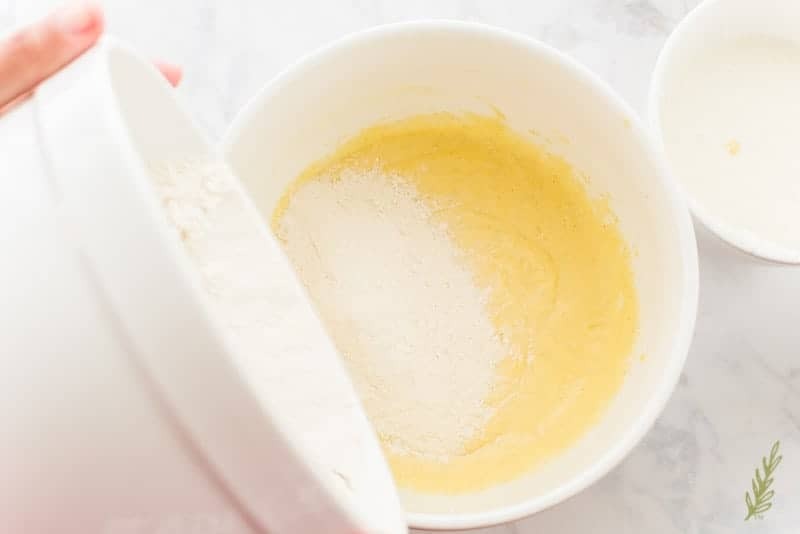 Because of my obsession with an proportionate batter, and because it’s the proper way to bake, I blend my ingredients thoroughly, and in stages- as should you. To do this, sift your dry ingredients: the flour, baking powder, salt, and a pinch of nutmeg, into a large mixing bowl. Then sift it again. Not only does this evenly mix the dry ingredients, it helps to aerate the flour, which creates a light, tender muffin later. 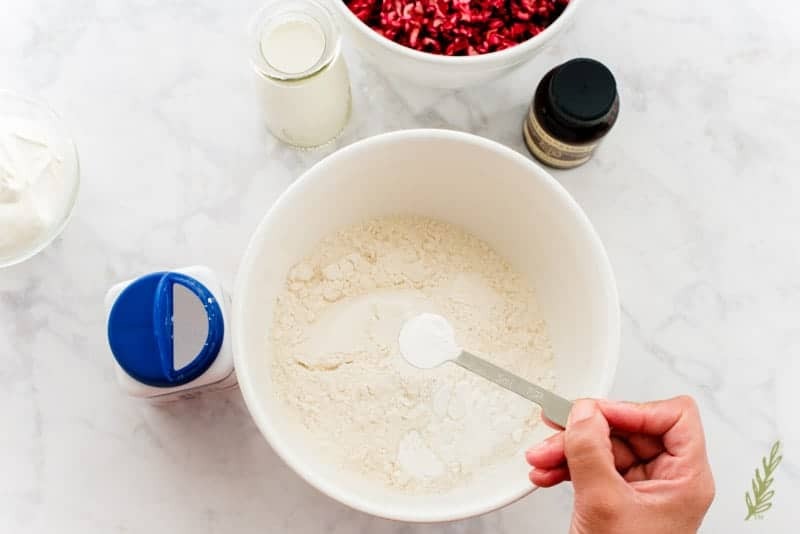 As well as needing to combine the dry ingredients, we need to mix the wet ingredients together prior to adding them to the muffin batter. In a bowl, whisk together the room temperature sour cream and the whole milk. Just whisk until there are no more chunks of sour cream and the mixture looks smooth. Set this to the side, and let’s get started on the muffin batter. 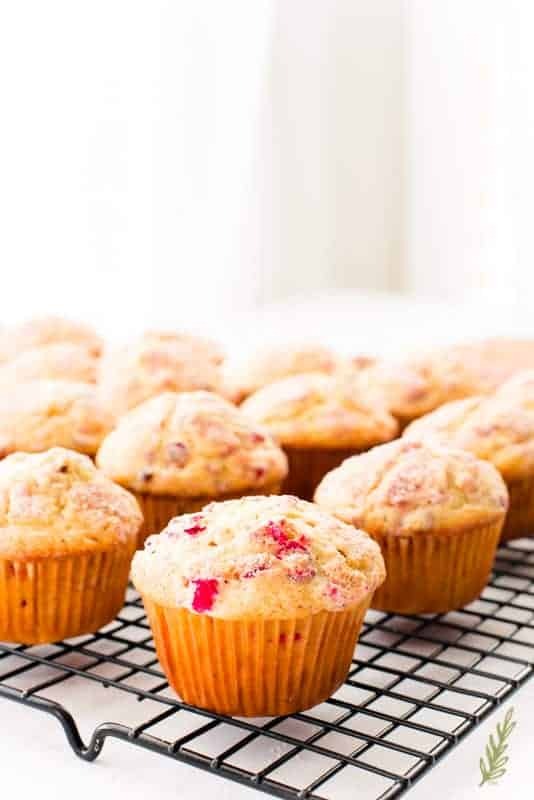 Vanilla-cranberry muffins should have a prominent vanilla flavor. In order to get that hit of vanilla, I use vanilla-sugar instead of plain sugar in this recipe. I always have vanilla-sugar on hand because I like to add it to my coffee every morning. While it sounds extremely high-speed, it’s just granulated sugar that’s been pulsed together with fresh vanilla beans. In other words, it’s extremely easy. Just grab two cups of granulated sugar and a vanilla bean. Split the vanilla bean open with the tip of a sharp knife. Scrape out the vanilla paste using the back side (the dull side) of the same knife and add that to the sugar. Throw the sugar into a blender and pulse a few times to cut that vanilla into the sugar. Now store it in an air-tight container! Vanilla-sugar! If you don’t have the energy, or the vanilla to make the vanilla-sugar, just use regular sugar and double the amount of vanilla that the recipe calls for, instead. In a separate mixing bowl, combine the room temperature butter, the vanilla-sugar (or plain sugar) and the vanilla. 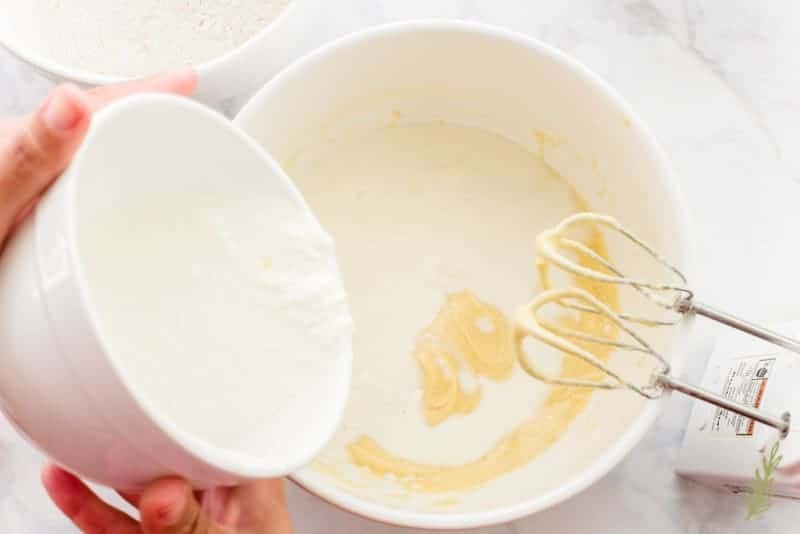 Use an electric hand mixer to cream the ingredients together. Creaming blends the mixture together, which coats the sugar crystals in the butterfat. This not only makes the muffins tender, it also helps to leaven the muffins. This step usually takes seven minutes. You want the butter to look lemony-yellow and fluffy when it’s done. 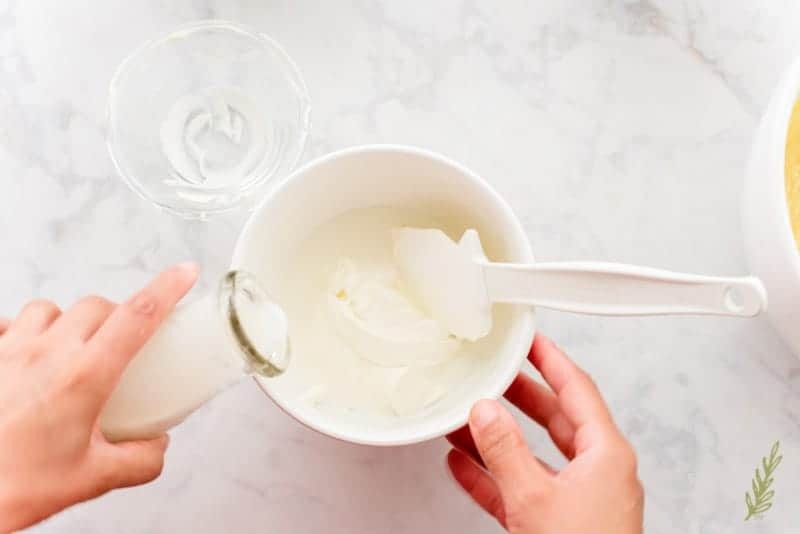 Scrape down the bowl a few times while you’re mixing to ensure you don’t have any rogue, unmixed, chunks of butter hanging on the fringes of the bowl. 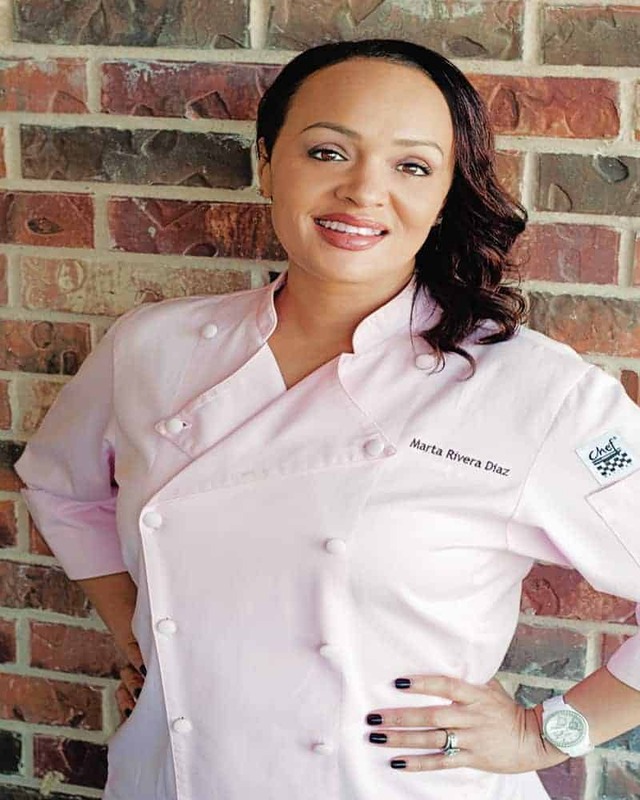 Add your room temperature eggs to the creamed butter-sugar mixture, one at a time. Don’t dump all of the eggs into the mixture at once because it’ll throw off the balance of the batter, and you’ll have to mix longer to achieve a fluffy mixture again. After the addition of each egg, mix for a minute, then scrape down the bowl. Continue like this until both of the eggs have been added to the batter. Once the last egg has been added, mix the batter for two minutes. You batter should be thick and foamy in appearance at this point. First, add one-third of the dry ingredients. Just eyeball a third of the dry mix in the bowl and add that to the sugar-butter-egg batter in the bowl. Mix on low speed just until the flour has been mixed into the batter. Stop the mixer and scrape down the bowl. Now, add half of the milk-sour cream mixture. Again, mix just until you can’t tell the difference between the milk mixture and the batter. Scrape down the bowl once again. 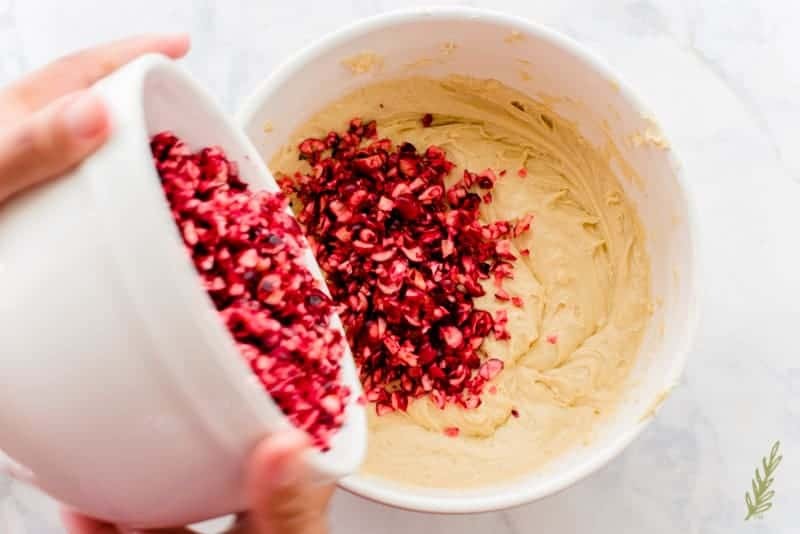 Continue adding the dry and wet ingredients in the same way: dry, the remaining wet, the last of the dry; mixing until absorbed, then scraping down after each addition. Don’t mix the cranberries in with the mixer. Because we want a tender crumb, we don’t want to over-mix the batter once it’s been fully assembled. Grab a large rubber spatula and fold in the cranberries we chopped earlier. Don’t overdo it on the mixing, just fold until the cranberries are evenly distributed throughout the batter. 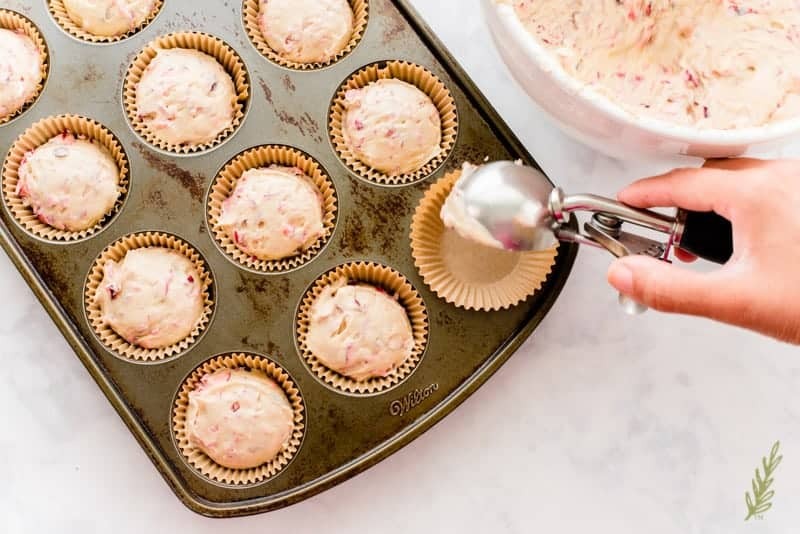 Once the batter has been “cranberried”, use a number sixteen scoop (or a quarter of a cup) to scoop the batter into a muffin tin that has been lightly greased, and lined with parchment paper muffin cups. 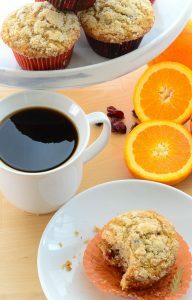 Sprinkle a teaspoon, or a generous pinch, of the spiced sugar topping onto each of the muffins’ surfaces. Put the pan into the oven and bake for twenty to twenty-five minutes, or until the tops are a nice, golden brown and they spring back when lightly pressed with a finger. Once the muffins are fully baked, remove them from the oven and allow the pan to cool down for five minutes. 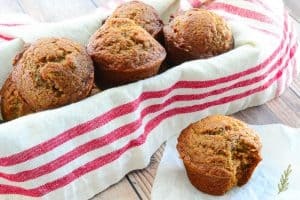 Remove the muffins from the pan and allow them to begin cooling on a cooling rack. You can serve them while warm, or let them cool completely. You can devour them all right now, or pack them into a freezer storage bag and freeze them for later. They will freeze magnificently for up to two months, which makes it great for holiday guests, or school/work days. Just pull them out the night before you want to eat them and let them thaw on the counter. I like to pop mine into the oven to warm them just before serving. 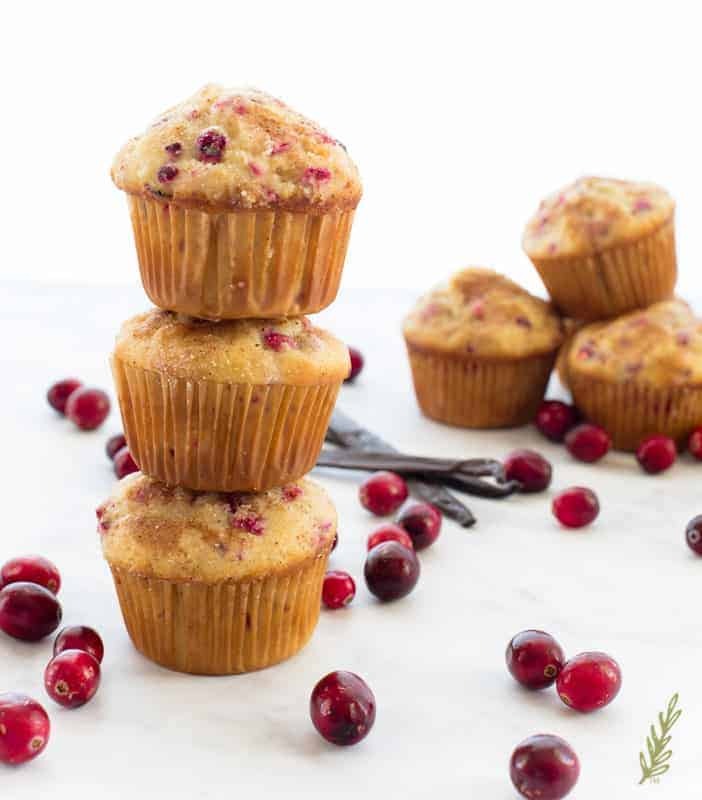 Enjoy these Vanilla-Cranberry Muffins with Spiced Sugar Topping year ’round or during the holidays! Pin this recipe in case you need to find it quickly! 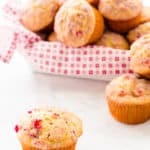 Use fresh cranberries for this unique muffin! Preheat your oven to 350°F. 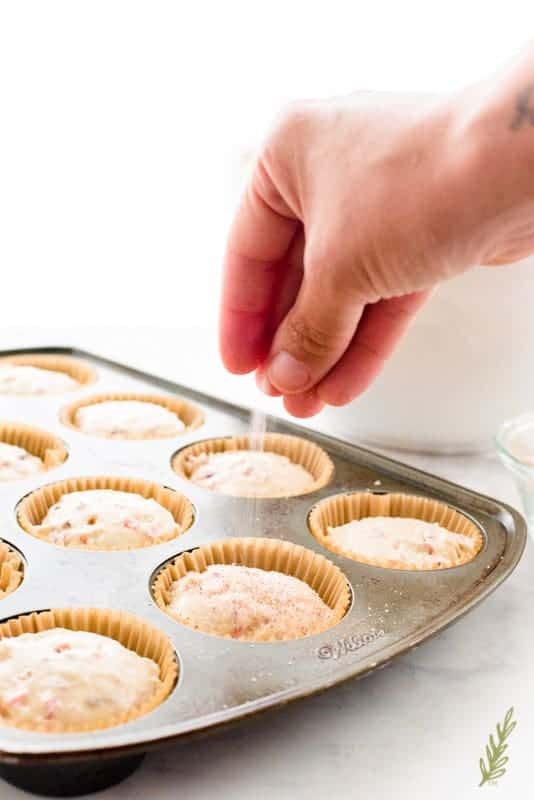 Lightly grease a muffin pan and line with parchment paper muffin cups. In a small bowl, mix together the first quantity of sugar, the ground cloves, and the cinnamon. Set this to the side to sprinkle on the vanilla-cranberry muffins later. Sift together the flour, baking powder, salt, and nutmeg, twice, in a large bowl. Set this to the side. In a separate bowl, whisk together the milk and sour cream until smooth. Set aside. 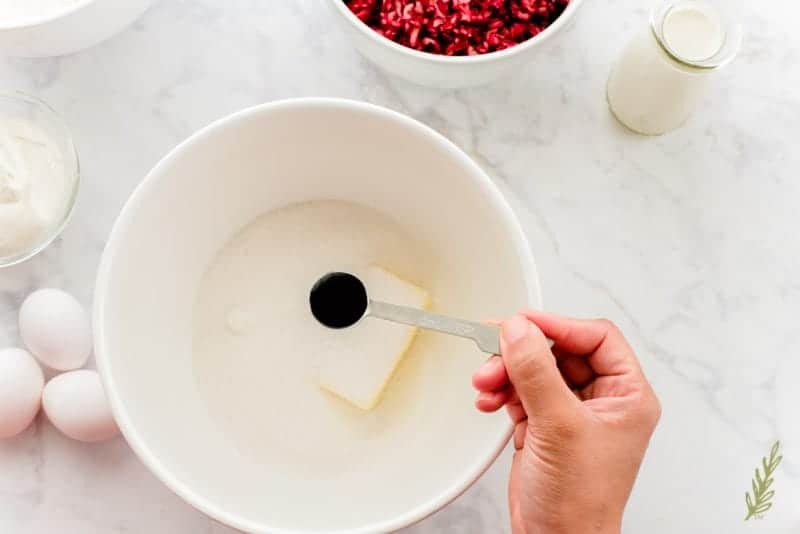 In a separate mixing bowl, blend together the butter, vanilla-sugar (or plain sugar), and vanilla extract on high speed until light and fluffy (about 7 minutes). Scrape down the bowl often during mixing. Add the eggs to the mixture, one at a time, scraping down the bowl after each addition. Blend on medium speed for 1 minute after you scrape down the bowl. Add 1/3 of the flour mix to the bowl and blend on low speed just until the flour has been mixed into the batter. Stop the mixer and scrape down the bowl. Add half of the milk mixture. Blend on low just until the milk is incorporated into the batter. Scrape down the bowl once again. Continue adding the dry and wet ingredients, alternating each as before. Be sure to scrape down the bowl after each addition, and mix just until absorbed. Fold in the cranberries using a large rubber spatula. Stir just until the cranberries are evenly distributed throughout the batter. 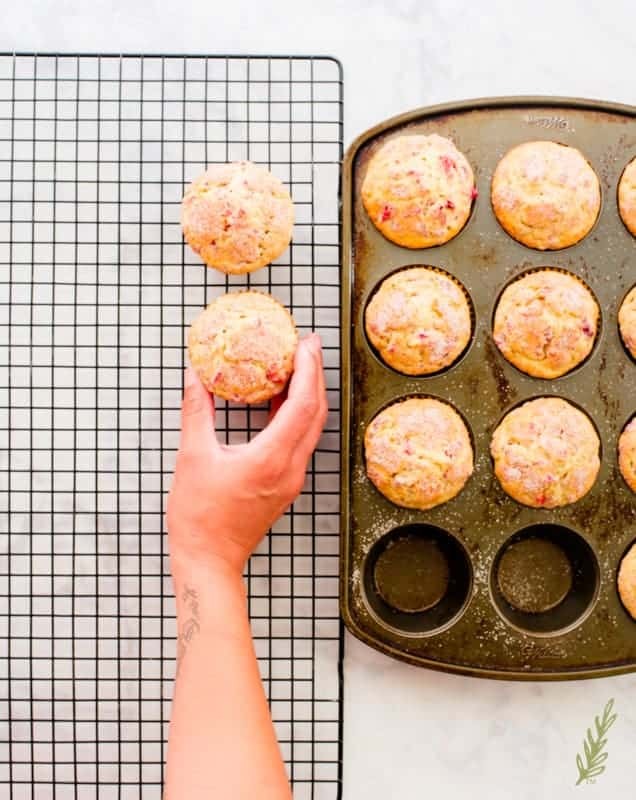 Use a number 16 scoop (or a 1/4 measuring cup) to scoop the batter into the prepared muffin pan. 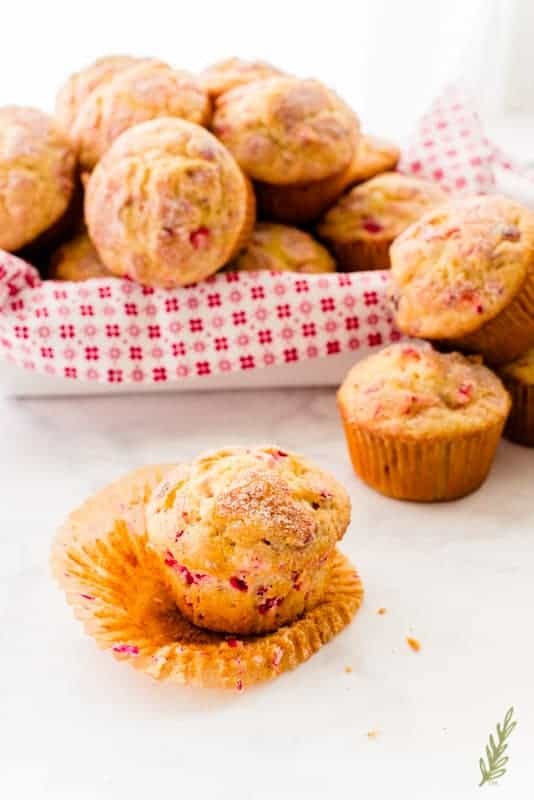 Sprinkle a generous pinch of the spiced sugar topping onto each of the muffins' surfaces. Bake the muffins for 20-25 minutes, or until the tops are a nice, golden brown and they spring back when lightly pressed with a finger. Once the muffins are baked, remove them from the oven and allow the pan to cool down for 5 minutes. Remove the muffins from the pan. You can enjoy them while warm, or allow them to cool completely. Scrape the vanilla bean of its pulp. Add the vanilla bean pulp and the granulated sugar to your blender. Pulse the sugar a couple of times to cut the vanilla bean pulp into the sugar. Transfer the sugar into a jar with a tight-fitting lid and store in a cool, dark place. This sugar lasts for a year. The muffins will freeze magnificently for up to two months. Pack them into a freezer storage bag and freeze them for later. Thaw at room temperature 24 hours prior to eating. 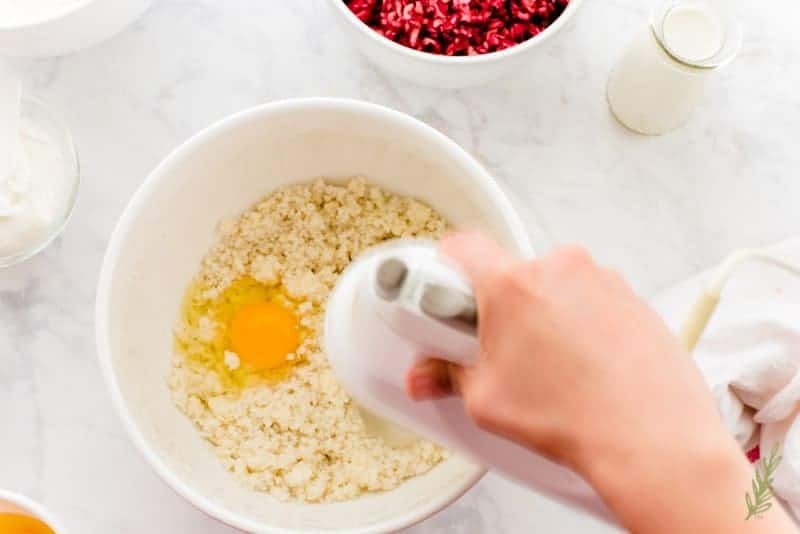 To use dried cranberries, reduce the sugar in the batter to 3/4 cup. If you prefer to use plain sugar, just double the amount of vanilla extract originally called for. Yummy! 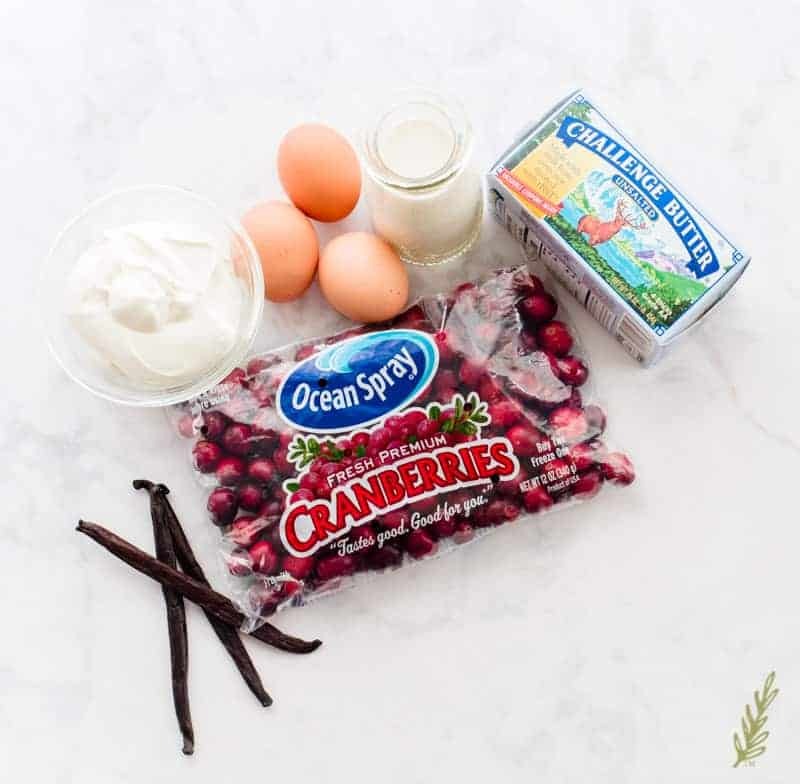 I love how you used cranberries to give you that holiday feeling that you can have all year long. Thanks, Ayanna! It is a great year-round breakfast. Those look dangerous! I doubt I could stop at just one. I also love vanilla sugar. I also keep it on hand. I’ll have to give these a try. You’re going to love these, Mallory! Oh my gosh these look delicious! I might have to stop and make some right now! I can’t wait to try! They would be perfect on Christmas morning! Yes! Especially on Christmas, Meredith! These sound amazing! They’d make a great breakfast on the go during the holidays! Yes, Emma! I love making and serving them whenever we have a busy day ahead. These look great! 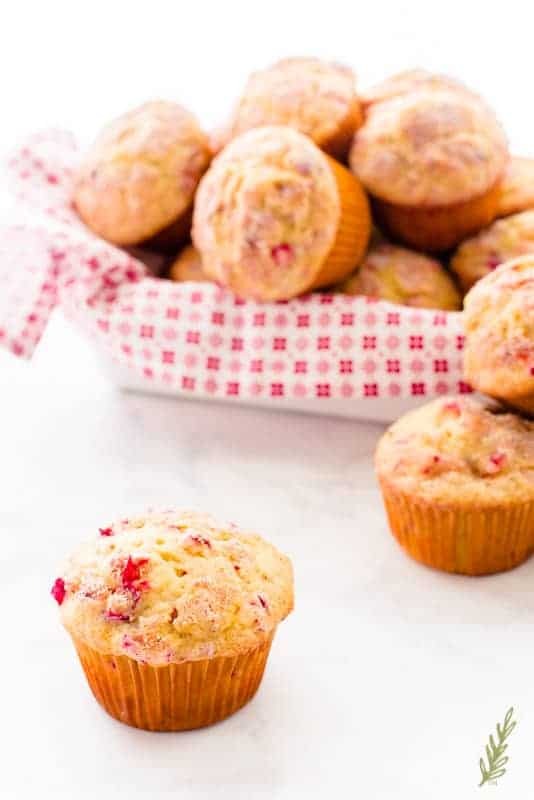 I have an extra bag of cranberries to use so I think I’m going to give these a try this weekend! Awesome, Amber! You’re all set for success, then! These look scrumptious! I love cranberry and vanilla anything! We made your boozy cranberry sauce again this year and trust me no one was disappointed. 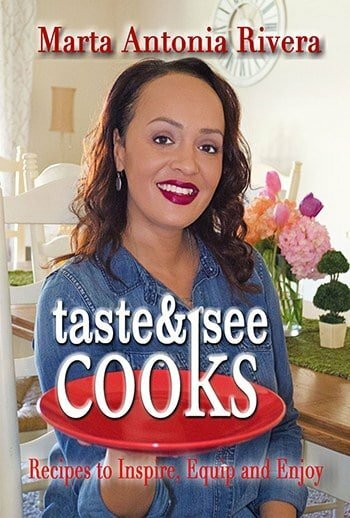 We enjoy your writing style and your recipes! Thank you so much, Sheila! I think I made myself sick with the amount of cranberry sauce I gorged on this Thanksgiving, LOL!!! This is truly wonderful .. I just love this use of cranberries. I never know what to do after the Thanksgiving prep is over. Yep! Now that we’re heading into Christmas, you should be able to get cranberries at a good price, Aditi. Carbs, glorious carbs! These muffins look amaaaaaazing. I seriously love carbs, Jordan! I was thinking about them the other day, in fact, LOL!! These look super good wish I wasn’t allergic to gluten, I will have to try making them gluten free. Yes, Bob’s Red Mill has a gluten free flour mix that I like to use from time to time. These look so yummy! I love the addition of the vanilla sugar. I can’t wait to try these! I hope you love them as much as we do, Christa!